On the corner of Eastbourne's Grand Parade, between the historic Eastbourne Pier and Bandstand, Harry Ramsden's offers fresh fish, real potato chips and their signature mushy peas beside the seaside. 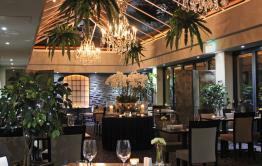 A comfortable, attractive restaurant and extensive outside dining area allows a pleasant experience whatever the weather. The restaurant includes a traditional British takeaway chippie, with a choice of fish on its blackboards, so you can pick up a tasty cod, haddock, plaice or scampi, freshly cooked in Harry Ramsden's secret recipe batter, for a stroll along Eastbourne's Grand Parade. Harry Ramsden's is known the world over for that Great British institution: fish'n'chips - and has been serving them for over 75 years - and the great taste of every portion keeps customers coming back for more, every time. 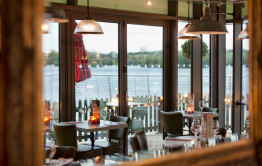 With 28 locations throughout the UK, every restaurant, take away and quick service restaurant adheres to the same high quality standards as set by Harry Ramsden himself in 1928. 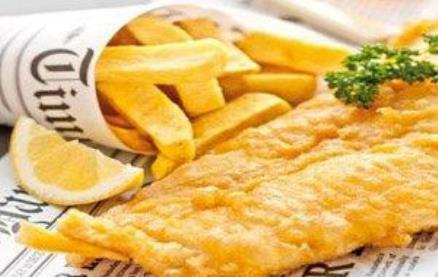 Proud of their heritage, the secret recipe of Harry's famous batter is still a closely guarded secret - freshly mixed every day to ensure the consistency is just right to complement the delicious fish, accompanied by perfect chips made using British potatoes, carefully selected and chipped every day. 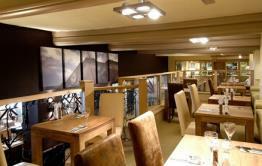 Be the first to write a review and share your experience at Harry Ramsden's (Eastbourne) with other diners.